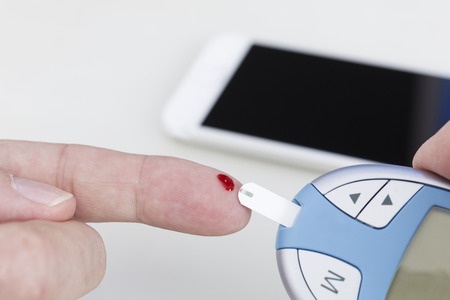 Secure text messaging has been shown to help patients manage their dosage of insulin according to a recent study published in the Journal of Medical Internet Research. The study was conducted by researchers at Bellevue Hospital in New York City with the aim of assisting patients with insulin dosing, with a primary focus on assisting low-income individuals. 61 participants consented to take part in the Mobile Insulin Titration Intervention Diabetes Program. 33 patients were sent reminders to check their blood glucose levels every day, and had to send their blood glucose readings to the hospital via text message. By sending the information to the hospital, nurses were able to remotely monitor blood glucose levels: If the readings were too low or too high, patients had their insulin dosage altered accordingly. The control group, consisting of the 27 participants, received standard care, and titrated their insulin at home during visits from remote healthcare workers. The results of the survey clearly show the benefits of Bellevue’s diabetes program: 88% of participants were able to get their blood glucose levels within an acceptable range, compared to just 37% of control group patients. The success of the program relies on patients texting their blood sugar readings to the hospital, which the patients did 80% of the time. Researchers estimated that the use of mobile text messages saved approximately 2 hours of time for each patient, and co-payments were reduced by $15. Furthermore, patients “felt more in control of their diabetes and more accountable for adhering to medical advice,” according to Natalie Levy, lead author of the study. SMS text messages are a fast and convenient method of communication. Healthcare professionals and patients are familiar with and comfortable with using text messages; however, SMS texts are insecure. If any Protected Health Information is sent via text message, such as patient names and health information, this would violate HIPAA Rules on data privacy and security. However, secure text messaging, where all data is subjected to end to end encryption, is compliant with HIPAA Rules. If a secure text message platform is used, the benefits of text messages can be realized, without violating patient privacy. Provided text messages are encrypted, they have potential to vastly improve the remote monitoring and management of chronic diseases.